When we speak of wool origin we mean the geographic place where the sheep live. 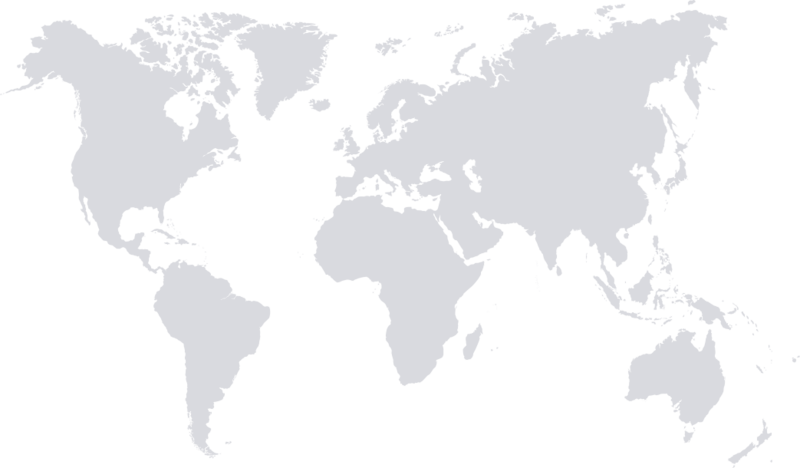 locations (eg Australia and Argentina) they will produce wool with totally different characteristics. This explains why in different parts of the world different wool are produced for different products. Production is stable and Merino wool is getting finer. 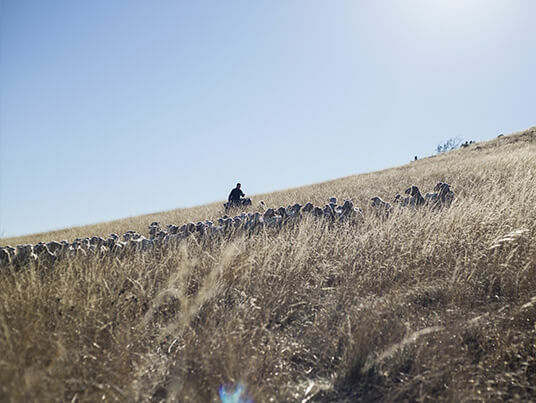 Uruguay has excellent sheep breeding conditions: natural country, green grasslands, production in an open-air environment with water, shelter and shadow, 1.300 mm rainfall per year, without snow, deserts, mountains, nor strong winds. No mules operation performed in Uruguay, animal welfare and excellent living conditions. Due to the quality of soil and weather the whole year round, in most of the cases growers have the possibility to decide what to produce: ovine for wool, ovine for meat, cattle for milk, cattle for meat, forestry, rice, soy-bean, etc. To make their decisions, they consider production costs and final price for their products. It is very easy to change to agriculture from one year to the other, but changes with animal production take several years. Our concern is not only the price of the wool but also if it competes with other products. With most of our customers, we work on a long-term basis and -with adequate planning, we are able to deliver the same quality products the whole year round. 17,5 to 22,5 my: White, soft, very good length and resistance, very low vegetable content. 22,5 to 24,5 my: White, soft, very good length and resistance, very low vegetable content. 24,5 to 29,5 my: White to slightly creamy; very good length and resistance, very low vegetable content. >29,5 my: White to slightly creamy; very good length and resistance, low vegetable content. The long-term trend is a move away from fine micron wool sheep and back to medium micron Merino and broader meat sheep (crossbred). 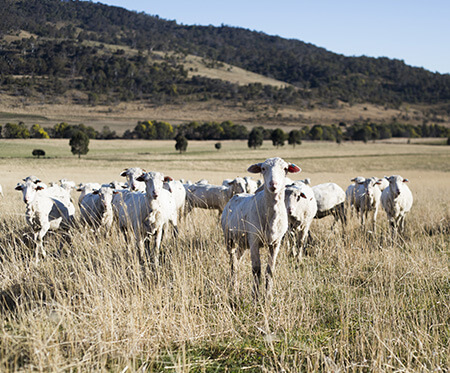 This trend is already apparent with a large decline in Superfine wool from the New England area over the last 5 years as growers in that area either switch to broader Merino or get out of sheep entirely. 26.0-33.0 my: Increasing in quantity as meat sheep. Majority fleeces unskirted but yields still range from 68-75% schlum dry basis. Usually some part tender and colour. 30-34 my: Spongy and carrying color with generally lower yields. Long and sound, high yields but visually lower in style and carry some color. 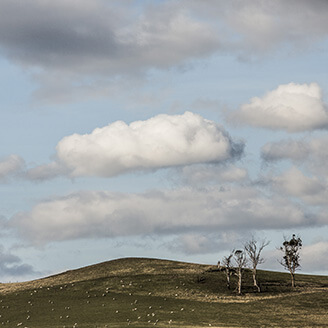 Subject to any natural disaster that could happen from now (prolonged drought, volcanic ashes, prolonged and heavy snowfall) wool production appears to have consolidated at its current levels. Also, subject to the above-mentioned reasons, there are no signs that the breeding is going finer or coarser to the one we have nowadays. 17,5 to 22,5 my: White, soft, good resistance, a very low vegetable content. Partnership between farmers and Chargeurs are built around passion and strong know how investing all their strength for the love of wool. 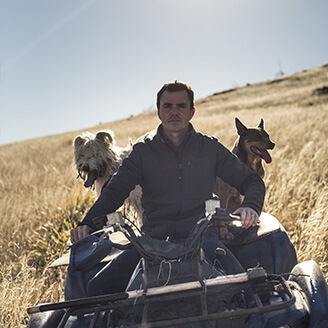 Farmers are dedicated to take care of the sheep and their land to deliver the best fibers. The famous Mérino breed originated in Spain is very adaptable and thus perfectly manage their insertion all around the world like in the USA, Australia, New Zealand, Argentina or Uruguay. This excellent forager can be bred in farms or left independent in the meadows or mountains depending the region. 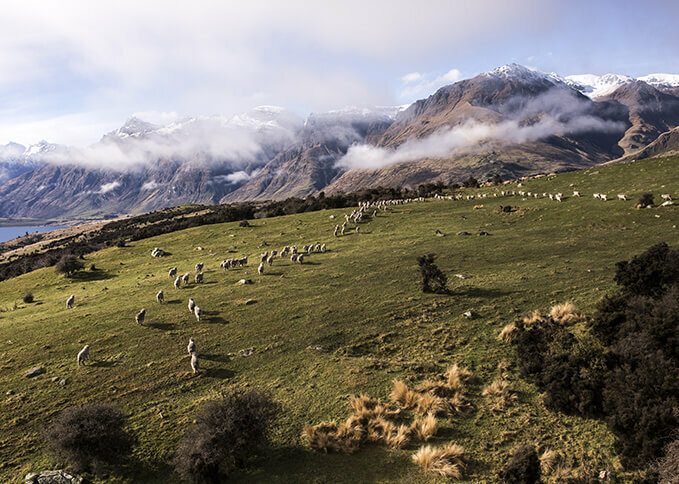 The merino sheep are living independently in natural habitat with rich food sources. The mérino are making their wool until the beginning of the winter to be ready for the difficult conditions of some geographical region. Then they need to be shorn at least once a year because their wool will not stop growing. They are the real caretakers of the land. Convinced that a good management of animals and the land is key for a high-quality wool and the essence of a premium supply chain. The raw merino fleece is scoured in a 30-meter long machine, where it is cleansed of their​ ​impurities and are then dried to yield scoured wool. 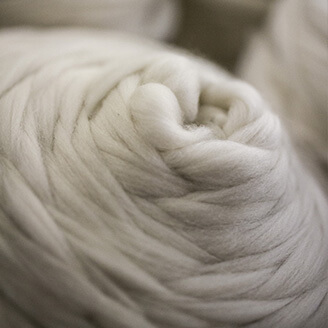 The dry, fluffy scoured merino wool is​ ​carded to disentangle and align the fibers. Finally, the thinnest and longest carded merino​ ​fibers are then sent to be combed. Soil: Ensure farmers have an understanding of what will impact the biodiversity of their land and have a strategy to protect and improve it over time. Fertilizers: Ensure farmers use the minimum amount of inputs to meet the nutritional needs of their land to maintain their carrying capacity. 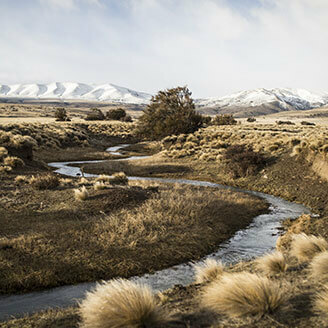 Chargeurs Luxury Materials is committed to supply no mulesing Merino wool to every customer requesting it. 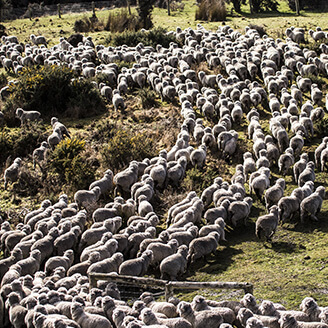 100% of Merino wool sourced from Argentina, Uruguay and the United States are no mulesing.